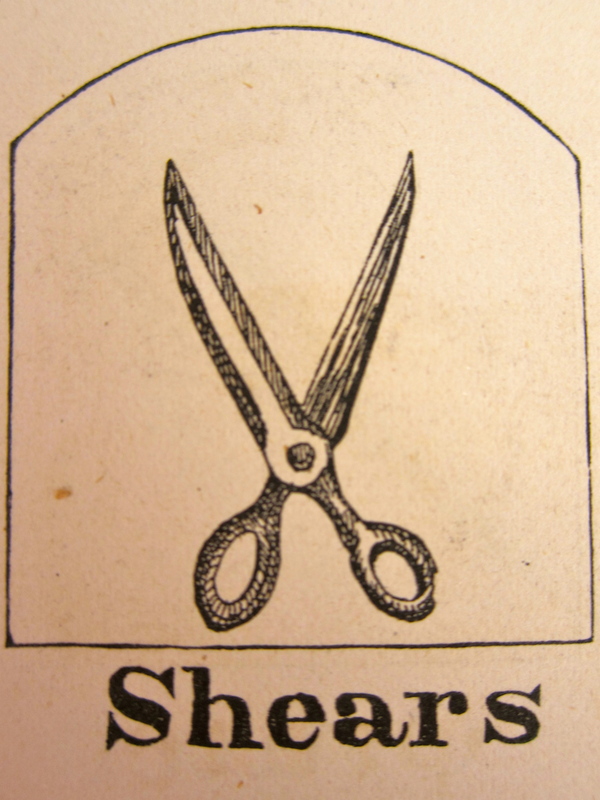 & I spent the evening at Olivers, Jane at G. Bartletts P.M.
After her morning chores on this last day of March, Evelina cut out more shirt parts. Any reader who has been following this blog on a daily basis has seen Evelina’s prodigious production of shirts for her husband and three sons. This particular project is soon to end. After one or two more mentions, Evelina will leave behind the cuffs, bosoms, and coarse and fine cloth of men’s shirtmaking and move into dressmaking for herself and her daughter, Susan. And when fair weather truly arrives, she will head for her flower garden. She will never completely stop sewing – there was always mending to be done – but she will relax her grip on needle and thread. Today being Monday, Jane McHanna was busy with the weekly laundry, washing the family linens and clothes and hanging them out to dry. In the evening – after preparing tea for the family, no doubt – Jane left to go to a Mr. Bartlett’s. The call was probably a social one, but we don’t know whom she visited. Because so many of the servants in the village had recently immigrated from Ireland, they tended to know one another and often visited each other when they had time off. Meanwhile, Evelina and the young boarder, Orinthia Foss, headed next door to visit Sarah Lothrop Ames. It was a sociable evening for all the women in the Ames household. cold is very troublesome have a very bad head ache. Evelina continued feeling poorly today. After yesterday’s helping of the commercial elixir, Wistar’s Balsam of Wild Cherry, one can’t help but wonder if her headache was, in fact, a symptom of hangover from the alcohol she unknowingly ingested. The consumption of alcohol was absolutely forbidden at the Ames’s house. Both Oakes and his brother Oliver Jr took a temperance pledge early on, and kept it. They hoped their workmen would follow their example. In this they differed from their father who, in his heyday of running the shovel works, had allowed his workers a ration of rum as part of their regular routine. Old Oliver’s habits had been learned in the 18th century, which had a more lenient attitude about liquor. In the 19th century, however, tolerance of alcohol disappeared. Temperance became the banner of the day, its support increasing yearly and culminating, ultimately, in the Prohibition amendment in the 20th. Alcohol was a controversial issue. If Evelina had known that the medicine she was taking was laced with alcohol, she might not have indulged. If Oakes had known, he wouldn’t have allowed her. Evelina caught a “very bad cold,” her second one since the start of the year. The first cold she treated by concocting a time-honored home remedy of which her Puritan ancestors would have approved. It included honey, a little horehound from her own garden, and more. The new cold, however, she dosed with a commercial product, Wistar’s Balsam. 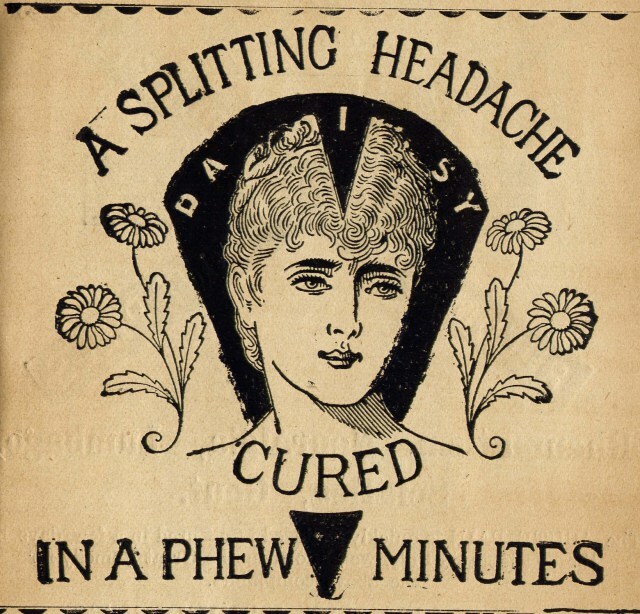 This bottle of patent medicine was something she purchased “over-the-counter,” as we would say today, with the expectation that a commercial product offered an improvement over what she might have made for herself. Such a transition from home-made to manufactured goods was very much part of the mid-19th century world in which she lived. Dr. Wistar’s Balsam of Wild Cherry was the most popular of many patent medicines available in the marketplace for the self-treatment of various ailments. With its “heady melange of cherry bark, alcohol and opiates,” it claimed to have “‘effected some of the most astonishing cures ever recorded in the History of Medicine! '”* With no regulatory oversight or standards to adhere to, it and other nostrums could and did claim curative powers over everything from colds to consumption. A consumer like Evelina could be completely taken in. How Wistar’s Balsam helped Evelina’s cold is uncertain, but she temporarily felt better for the drugs she imbibed. She was able to sit up with her mother, Orinthia and Sarah Witherell, visit with her niece Abby Torrey, and finish sewing a fine shirt for her husband. A penny an egg, or 12 cents a dozen. Not so today. That Evelina bought her eggs tells us right away that the Ameses didn’t keep chickens. If they had, Evelina would never have paid for something she could get for free. These eggs came by way of the Gilmores, either from Augustus who may have been living on a property that had chickens or, possibly, from Augustus’s father, Alson, out on the family farm. In the winter, particularly, chicken as a meal was in short supply all over New England. Chickens were vulnerable to the harsh winter of Massachusetts and many people simply didn’t keep any. Come spring, however, they were a welcome change. A “spring chicken” was something young and fresh. An old laying hen, on the other hand, once past her prime, was something to be put in a pot and stewed. 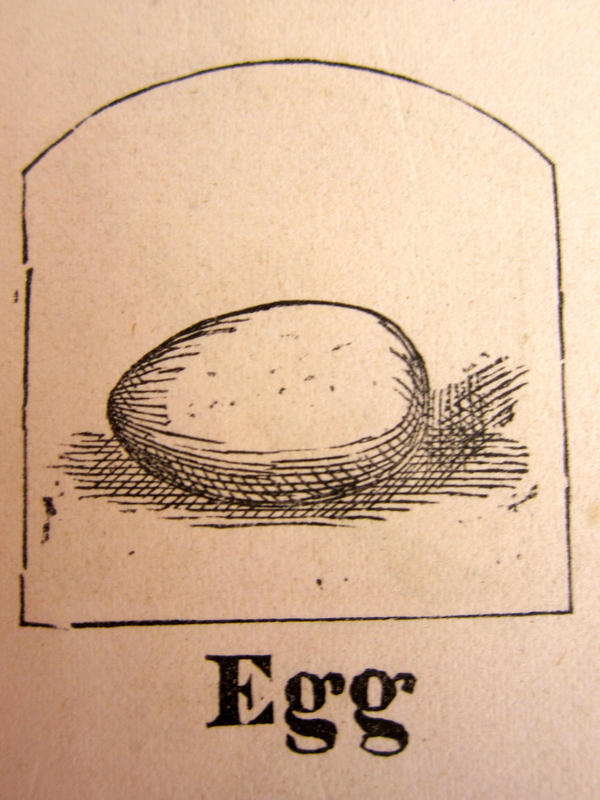 It follows that eggs, which were important in cooking and baking, were in demand. Thus we find Evelina procuring several dozen for her kitchen. 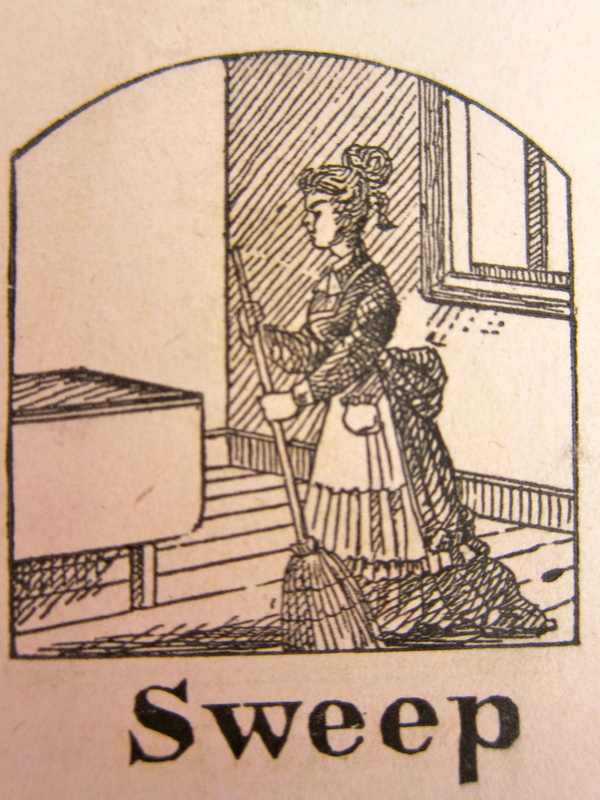 *Sarah Josepha Hale, The Good Housekeeper, 1841.
the roads are quite dry. Mother stopt at Mr Torreys. After Evelina and her mother spent the day with, respectively, nephew and grandson Augustus, Hannah Gilmore left to spend the night at her son-in-law, John Torrey’s, house in the village, leaving Evelina briefly unencumbered from looking after the elderly woman. Evelina seized the opportunity to go out with her sister-in-law, Sarah Ames, to help chaperone a dance for the young people. No doubt the Ames sons, Oakes Angier, Oliver (3) and Frank Morton were at the dancing school, as they had been for most of the previous Thursday evening assemblies. So, probably, was Fred Ames, making a rare appearance while home from school. While adults from their parents’ generation were always present at these occasions, one wonders how the young men felt having their mothers among the group standing guard. These assemblies were important social occasions that provided innocent pleasure and animation. They fostered acquaintances among the young people of the town who had few other opportunities to mingle. Dance steps were learned, exercise was taken, manners were polished, courtships were sparked, hearts were engaged or disappointed, and perpetuation of the species forwarded in this important small town gathering. Surely both Evelina and Sarah Ames watched the proceedings with interest. the afternoon at Olivers with Mr & Mrs Whitwell. Mud season, as they call it in New England, had arrived and thus a daily sweeping of the floor and carpet was essential. Dust and mud entered the house on the bottoms of boots and shoes when anyone came in the door. Once this messy passage from winter to spring had safely passed, it would be time for spring cleaning. Meanwhile, the ladies in the Ames compound on Main Street were socializing among themselves. Evelina took her mother next door to Sarah Lothrop Ames’s house in the afternoon and visited with William and Eliza Whitwell, who were calling. In the evening, both sisters-in-law came over to visit with her. The ladies sewed – Evelina still working on shirts, this one for her middle son – and chatted. Whether working or playing, the Ames family members spent this quiet evening en famille. A quiet weekday in Easton, punctuated by departures. Augustus Gilmore went into Boston, perhaps on errands for the new boot factory. Helen Ames returned to school and her father left for New Jersey on shovel business. Pleasant weather facilitated everyone’s travels. Sarah Witherell had a visitor today, a Mrs. J. Porter, who brought three children with her. Evelina, who “called to see her,” noted that Mrs. Porter had borne four other children who had died, a sorrow Evelina would have been especially sympathetic to, having lost a child of her own. So had Sarah Witherell. 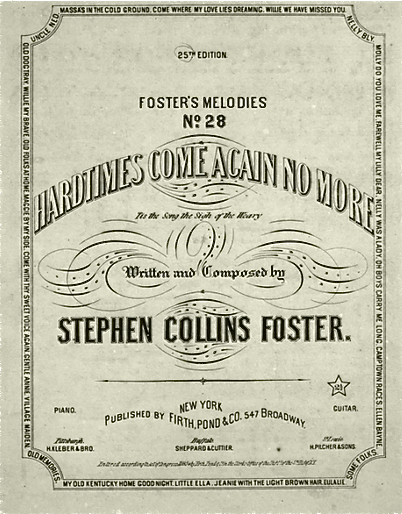 Surely there was a tinge of loss hovering on the edges of this modest gathering, “frail forms fainting round the door,” as Stephen Foster’s classic ballad* from 1854 would soon suggest. In the United States in 1851, average life expectancy was less than 50 years old. No small variable in that number was the high rate of infant mortality. The expectation that an infant might not survive was so prevalent that some parents didn’t name their children until after the child had lived through its first twelve months. It wasn’t unusual for census records to show entries for two- or six- or nine-month old babies described as “Infant Not Named.” Children and young adults died, too, from diseases that we have since held at bay, but babies were especially vulnerable.